Lohagarh Fort is a 18th century fort in Bharatpur built by a jat ruler , Maharaja Suraj Mal. Also known as Iron Fort, it is regarded as one of the best forts among various others and one of the strongest ever built in Indian history. 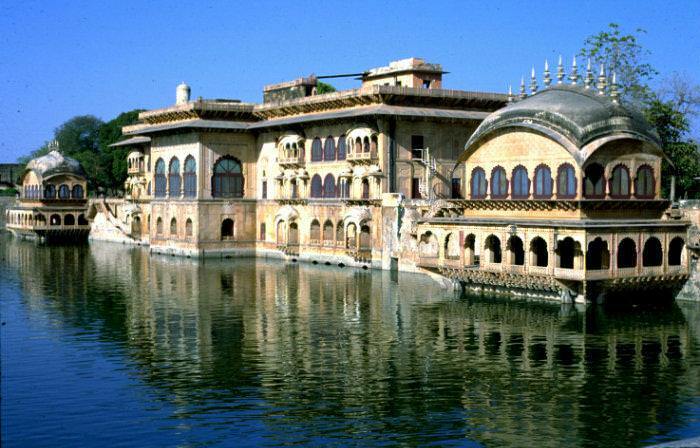 There are number of monuments inside the fort which are Kishori Mahal, Mahal Khas and Kothi Khas. Moti Mahal and towers like Jawahar Burj and Fateh Burj were erected to commemorate the victory over the Mughals and the British army You will also fing huge paintings of elephants ove the gateway. The fort stands proudly, as a living testimony to the chivalry and courage of the Jat rulers of Bharatpur. Of the two gates in the fort, one in the north is known as Ashtdhaatu (eight metalled) gate while the one facing the south is called Chowburja (four-pillared) gate. Begun by Maharaja Suraj Mal in 1732, it was completed only 60 years later (see Maharaja Suraj Mal). The strong point of this once-formidable fort were its thick outer mud walls, which lovingly absorbed all the firing from the Mughal and British armies. The cannon balls would sink into the mud, only to be collected later and fired back at the enemy! These terrific walls were about 7km in length and took as many as eight years to complete. Ashtadhatu Gate : The main entrance to this grand fort is the Ashtadhatu Gate. Ashtadhatu means ‘eight metals’, for the spikes on this edifice are made of eight different metals. This north-facing imposing gateway with huge rounded bastions and paintings of war elephants carries a unique history. The Kamra Palace and the durbar hall of the Badan Singh Palace were converted into the State Archaeological Museum in 1944. The museum houses an interesting collection of sculptural findings of eastern Rajasthan, with some pieces from the 2nd century AD. The terra cotta toys of the early centuries excavated at the nearby village of Noh, and the 10th century Ganesha are some of the nicer exhibits. There’s also a fine carving of Shiva as Nataraja (the cosmic dancer), belonging to the 10th century. But the best piece is perhaps the 2nd century red sandstone shivalinga (Shiva’s phallic symbol).